I had no idea just how much I would enjoy the Dolphin Research Center on Grassy Key, just east of Marathon in the Florida Keys until a recent visit. I spent an entire day there and cannot wait to return. What a cool place this is.This educational and entertaining attraction is definitely worth the $25 admission fee. 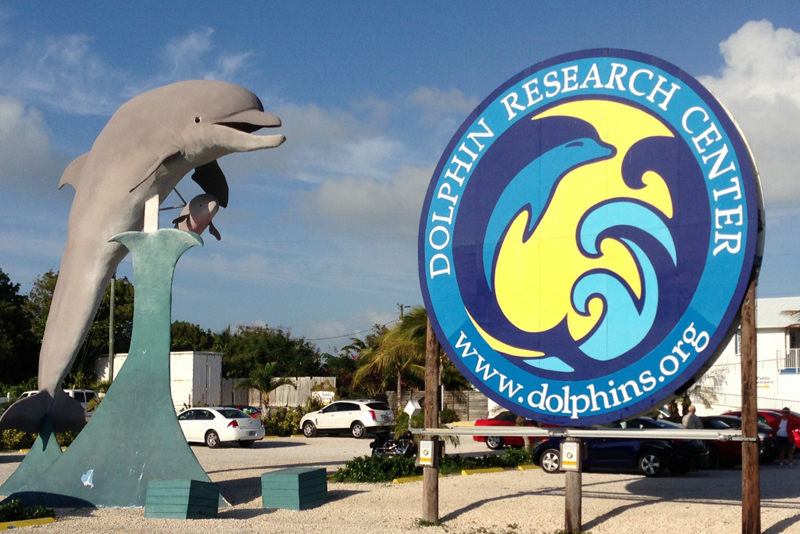 The Dolphin Research Center is a not-for-profit education and research center in the Florida Keys. It is the home of Atlantic bottlenose dolphins and California sea lions. Seventeen of the twenty-five dolphins were born at the center and two are rescue dolphins, one from the Gulf oil spill. Besides providing a home to these animals, the DRC assists marine mammals in distress including manatees. One of the prime areas of focus at the DRC is research and it is ongoing, and a number of the studies have been published in professional journals. 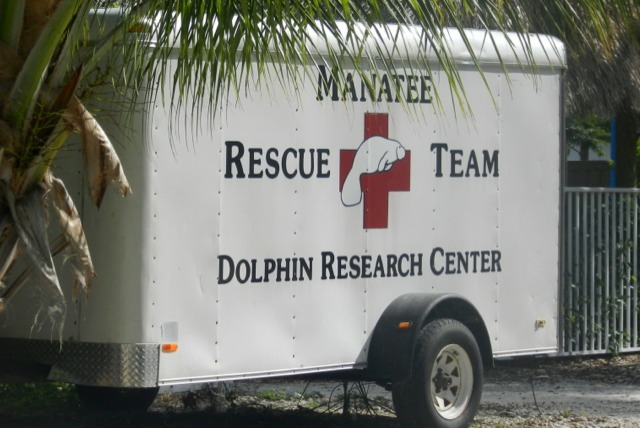 Cognitive and behavioral research of the dolphins is the primary type of research conducted here, and it is done continually, even with visitors present. While I was there I saw three staff members documenting observations of a baby dolphin who had just been born five weeks previously. They were noting behaviors of the baby dolphin as she swam with her mother and the nanny dolphin, a common situation. There are various programs if you want to really get involved with the dolphins. 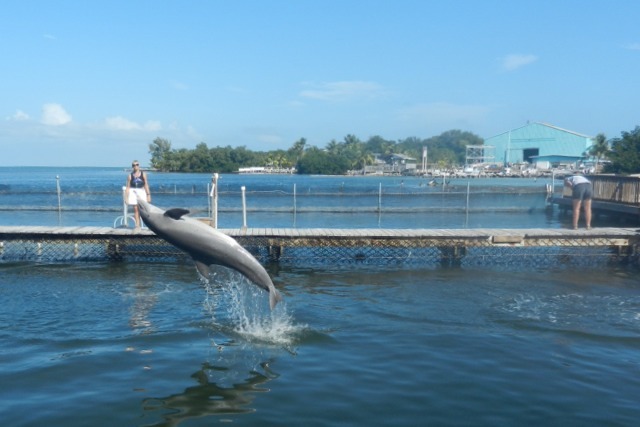 There is the Swim with the Dolphins program and several different interactive Dolphin Encounter program, depending on your interests. What struck me the most while spending the day watching the various interactive presentations with the dolphins and their trainers was the attitude of every single staff person working there. All of them were genuinely happy and they treated the dolphins as well as the visitors with a level of respect that is seldom seen. From the CEO down the ladder, everyone was knowledgeable and enthusiastic about what they do. I had the opportunity to meet Mandy Rodriguez, the CEO who has worked here forever according to him. Not only was he down to earth but he spent time to talk with my group and have a conversation. Peggy McGill, VP of Finance and Administration also was most cordial, informative, and very pleasant. I learned so much that day about dolphins and their abilities and their intelligence. The day was not just fun but very educational as I went from lagoon to lagoon to see the different things going on. The center has paid staff and quite a number of volunteers, about 100 people in all, and they truly love working with these animals. I would highly recommend a visit to this special place anytime you are going to the Keys. I can't wait to get back there and spend another day learning about the dolphins. They are truly amazing animals and this is truly an amazing place.